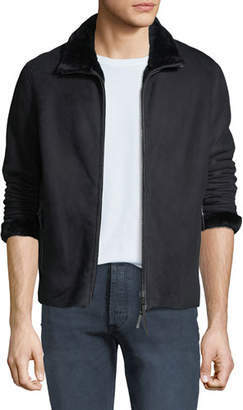 With a timeless elegance about them, Emporio Armani’s collections are able to combine luxury with practicality. 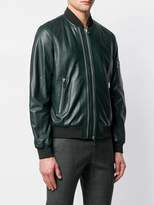 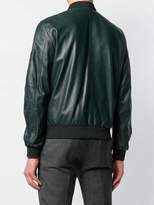 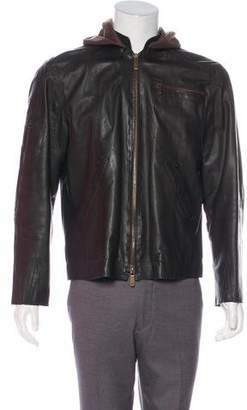 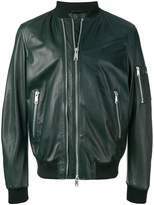 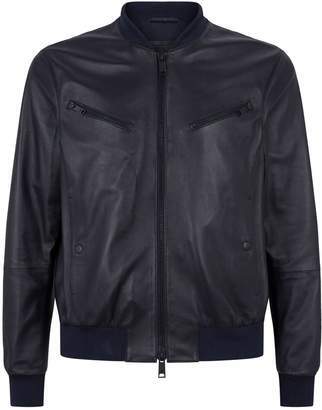 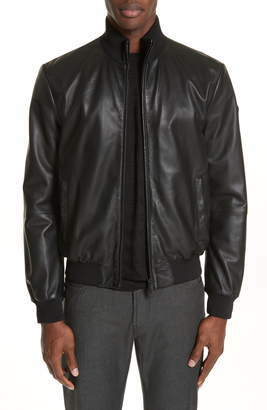 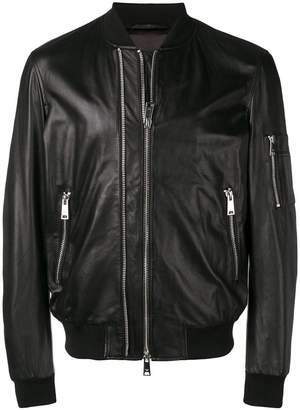 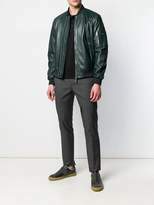 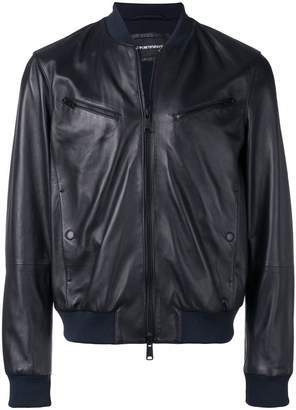 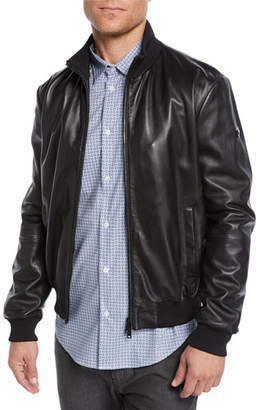 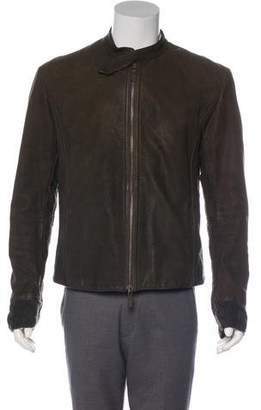 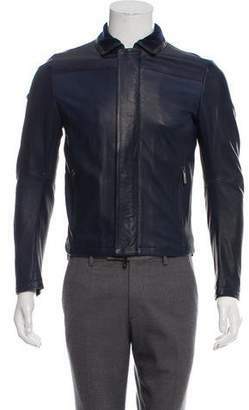 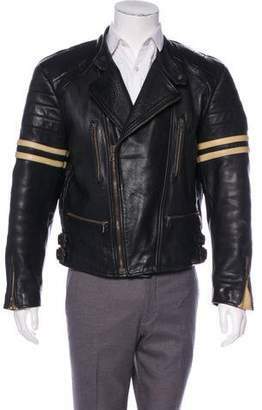 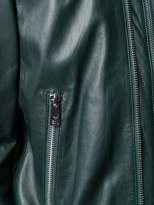 This new season is no different and this green leather bomber jacket is a great example. 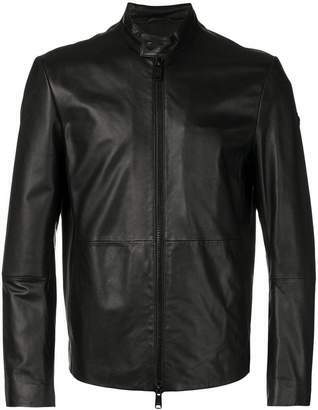 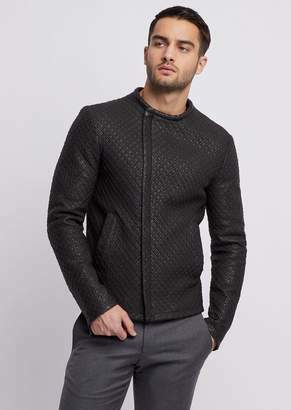 Featuring a ribbed collar, a two-way zip fastening, zipped side pockets, long sleeves, a ribbed hem and cuffs, zipped pocket at the sleeve and a full lining.